Sixteen-year-old social media phenom and ambient singer Poppy has released today her debut album Poppy.Computer for digital download and streaming across multiple platforms. In order to herald the album’s release — from her own I’m Poppy Records in collaboration with the Diplo-founded record label Mad Decent — Poppy is set to embark on her first-ever live tour, kicking off on Oct. 19 in Vancouver. Tickets are available here. Poppy, née Moriah Pereira, was named ‘Breakthrough Artist’ at the 2017 Streamy Awards, (which is produced by Tubefilter). Her YouTube channel, launched in 2014, comprises music videos as well as an assortment of stark and chin-scratching promotional clips — the most popular of which features the petite blonde songstress repeating the words “I’m Poppy” for 10 minutes straight (11 million views). 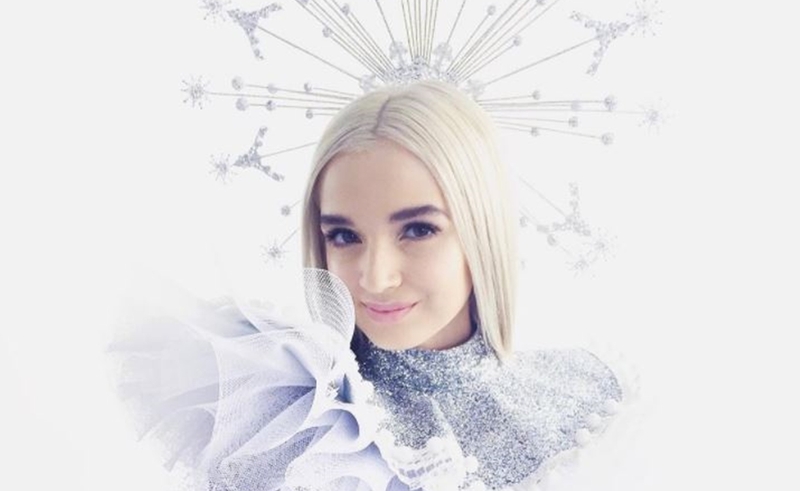 Poppy’s YouTube channel has clocked hundreds of millions of views to date, with many of the clips directed by frequent collaborator and fellow musician Titanic Sinclair. The videos showcase her alien-like persona and frequently serve as a commentary on modern internet culture.